blogadda product review review zest The Zest Drive - Car Review! Recently I got a chance to 'Zest' drive the new Zest car, I mean Test drive the Zest. The Zest is a compact sedan from the Tata Motors. It looks decent and the exteriors look elegant. A lot has to be said about the interiors. 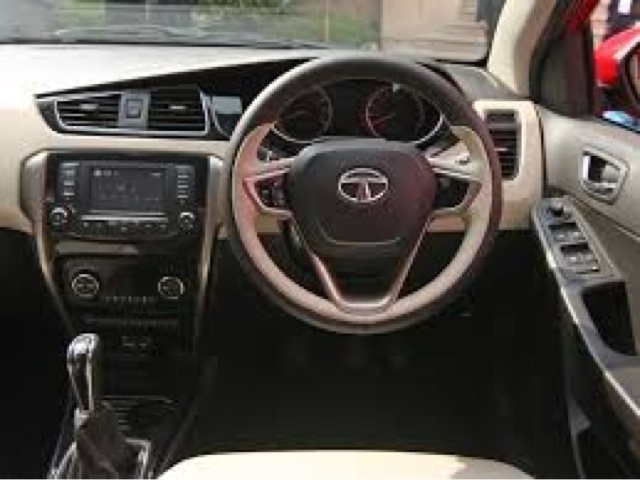 It provides adequate space unlike other Tata offerings. The dashboard is compact and amazing. The Infotainment system is something which grabbed my attention. I will come to that part a bit later. I rate this car as a comeback by Tata motors and this could pose as a big threat to other compact sedans currently in market as it offers much more attractive features. It is being said that Zest can give a tough fight to its other competitors. Zest offers a Revetron 1.2 L turbocharged MPFi Petrol Engine which is powerful. It provides a maximum torque upto 90 PS which is good for any car. It comes in 3 multi drive modes which includes - City, ports and Eco. This modes can be selected by the click of a button located near the gear box. The gearbox is smooth and easy. The Sports mode is simply amazing. In this mode you could witness a sharp sound similar to that of the F1 cars. It could be said that these different modes can be used in different conditions. Zest sails smoothly on the road just like a boat sailing over the ocean. Its extremely smooth and the turns are sharp. In short, its a good performer. Zest also offers 1.3 L Quadrajet engine with Ftronic AMT Diesel version car which is the 1st AMT in diesel. It provides the convenience of Automatic along with shift assisted manual gears. The diesel version is similar to the petrol version. It provides good mileage too. It’s a bonus! A general practice should be followed while driving Automatic transmission cars that the left foot should seldom be used. Most of us are used to driving manual cars and hence there is high chance that we may press the brakes thinking it to be the clutch. Zest follows its 3 pillars - DesignNext, DrivenNext and ConnectNext. This implies the central kernel of the Zest, the driving force which includes Revetron 1.2T turbocharged engine, multi drive modes,AMT Diesel, Hard baked steel,rear passenger protection, Dual path suspension etc. It also offers a high class AC. This is basically the infotainment system of the car. The touchscreen music system is developed by Harman which provides a variety of options.It offers smart phone integrations. Through bluetooth pairing , you could actually access most of your phone functionalities on your car. You could call someone, also let the system read your SMS'es. It has a voice recognition system which is designed to accept Indian accents. The system works on voice commands which could be used for some functionalities such as AC temperature control, fan speed control, phone accessibility, Play songs by selecting artists, album or song names or tune into a FM channel.The volume increases by speeding the car. It has a very good touch screen. Its said that it could also provide provision for adding applications. I personally loved it. Tata Motor’s efforts have finally paid off. Over 2 years of hardwork will surely bring in some good news for them through the Zest. The rear of the car is beautiful and Tata has got its winner in Zest. 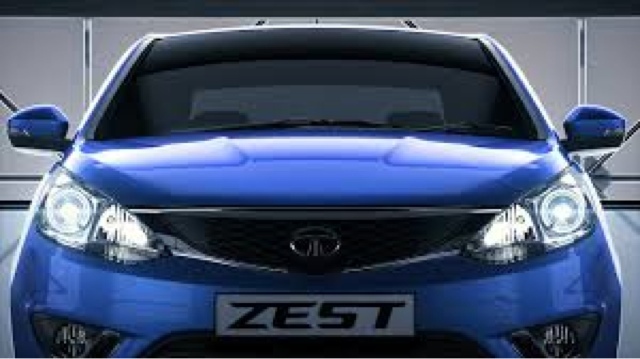 Zest has got some fabulous features and I bet that this could be a game changer for Tata Motors. I am keeping my eyes on this car. This car has impressed me!